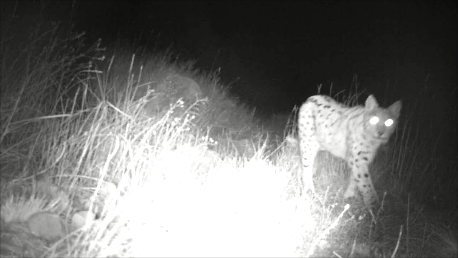 Fleeting footage of a Eurasian Lynx (Lynx lynx) has been recorded in the Caucasus Wildlife Refuge on a camera-trap funded by World Land Trust (WLT). The reserve is managed by WLT’s conservation partner in Armenia, the Foundation for the Preservation of Wildlife and Cultural Assets (FPWC). The Eurasian Lynx was once quite common in all of Europe but, by the middle of the 19th century, it had disappeared from most countries in Central and Western Europe. The Eurasian Lynx has a short tail, long whiskers on its face, and tufts of black hair on the tips of its ears. Its paws are large and padded, and the legs relatively long, designed for walking through snow. The colouring and markings of its fur varies and can be medium brown, tawny or beige-white, occasionally with dark brown spots. The Eurasian Lynx ranges through the mountainous forests of Europe, Russia and Central Asia. It is the third largest predator in Europe after the Brown Bear and the Grey Wolf and is the largest of the lynx species. It is a carnivorous, opportunistic predator, consuming up to two kilograms of meat every day. In the Caucasus Wildlife Refuge the Eurasian Lynx feeds on small mammals such as foxes and rabbits. 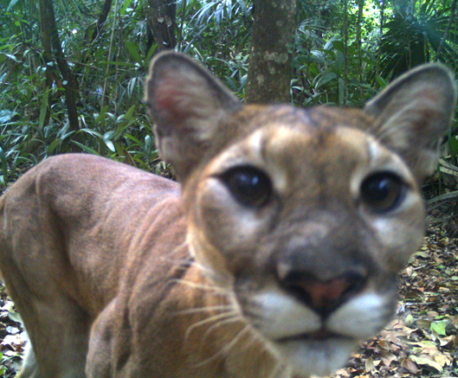 Camera-traps funded by WLT have proved extremely useful in monitoring wildlife in the Caucasus Wildlife Refuge. 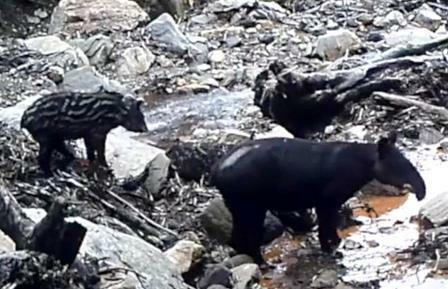 During 2013 camera-traps have provided footage of Bezoar Goats and a Syrian Brown Bear, along with tantalising glimpses of the endangered Caucasian Leopard. The video recording of the lynx was made on 8 November 2013. You can support conservation and site protection measures in the Caucasus Wildlife Refuge by donating to WLT’s special appeal to Save the Caucasian Leopard or to WLT’s Keepers of the Wild appeal.